Listed for Monday 15 April 2013 in the Supreme Court is the appeal of Commissioners for Her Majesty’s Revenue and Customs v Marks and Spencer PLC, and the related cross-appeal. The issue in these hearings is to determine whether there should be a reference made to the Court of Justice of the European Union before the appeals are heard by the Supreme Court. These appeals relate to an earlier preliminary ruling in Marks and Spencer v Halsey, where the CJEU held that the UK’s group relief regime was lawful but would breach EC art 43 if it precluded cross-border relief of losses if the parent company could show there was “no possibility” of those foreign losses being utilised in the member state of the surrendering subsidiary. The issues raised are whether the “no possibilities” test applies at the end of the accounting period in which the losses crystallise (as HMRC contend) or at the date of the claim (as M&S contend); whether sequential/cumulative claims can be made by the same company for the same losses of the same surrendering company for the same accounting period; whether there is “no possibility” of utilising the losses when a surrendering company has losses it can utilise and others cannot; whether the principle of effectiveness requires M&S to make fresh “pay and file” claims now the CJEU has identified when losses may be transferred; and what the correct method is for calculating losses available to be surrendered. From Tuesday 16 until Thursday 18 April 2013 are the linked appeals of Booth v The Parole Board, Osborn v The Parole Board and In the matter of an application of Reilly for Judicial Review (Northern Ireland). All of these appeals relate to a clarification of when an offender is entitled to an oral (as opposed to on the papers) hearing at a Parole Board review. Booth’s appeal concerns judicial review of the Parole Board’s decision to refuse oral hearings relating to an indeterminate sentence, and Osborn’s case relates to a refusal to hold an oral hearing following recall after release on licence under a determinate sentence. In Reilly the appellant was given an automatic life sentence, and at the end of his tariff an individual Parole Board member considered his case and refused to release him or hold an oral hearing. The Court of Appeal held that there was no absolute right to an oral appeal under ECHR, art 5, and that the appellant was not entitled to one on the facts. On Wednesday 17 April 2013 the Supreme Court will hand down judgment in the following: Public Relations Consultants Association Ltd v The Newspaper Licensing Agency Ltd, and Jones (by Caldwell) v First Tier Tribunal & Anor. In the Privy Council this week is the Jamaican appeal of Caribbean Steel Company Ltd v Price Waterhouse, listed for Tuesday 16 April 2013. There are currently no case details available for this matter. The President of the Methodist Conference v Preston, heard 13 – 14 February 2013. BNY Corporate Trustee Services Ltd & Ors v Neuberger Berman Europe Ltd (on behalf of Sealink Funding Ltd & Ors), BNY Corporate Trustee Services Ltd & Ors v Patron EMF S.A.R.L., and BNY Corporate Trustee Services Ltd & Ors v Eurosail-UK 2007- 3BL PLC, heard 25 – 26 February 2013. In the Matter of B (a Child), heard 25 – 26 February 2013. Barts and the London NHS Trust v Verma, heard 27 February 2013. Petrodel Resources Ltd & Ors v Prest, heard 5 – 6 March 2013. 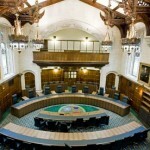 Uprichard v Scottish Ministers & Anor, heard 5 – 6 March 2013. R (ClientEarth) v The Secretary of State for the Environment, Food and Rural Affairs, heard 7 March 2013. Salvesen & Ors v The Lord Advocate, heard 12 – 13 April 2013. Futter & Anor v The Commissioners for Her Majesty’s Revenue and Customs, and Pitt & Anor v The Commissioners for Her Majesty’s Revenue and Customs, heard 12 – 14 April 2013. 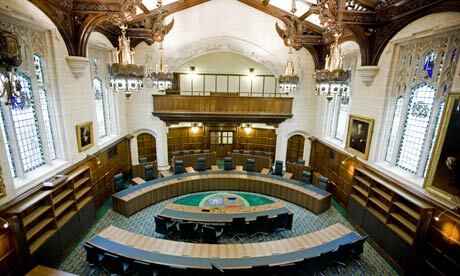 Leave a reply on "In the Supreme Court w/c 15 April 2013"